There are many definitions of mechatronics, but most involve the concept of blending mechanisms, electronics, sensors, and control strategies into a design, knitted together with software. 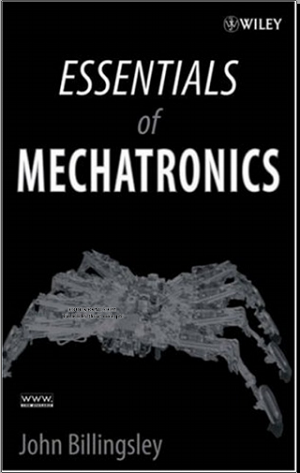 With an abundant wealth of topics to choose from, authors of mechatronics textbooks are tempted to bundle them all into a massive compendium. This book seeks to throw out all but the essentials; although perhaps in hanging onto the baby, some bathwater will still remain. There are a hundred ways of achieving all except the simplest of mechatronic design tasks. At every step, choice and compromise will be involved. Should a precision motor be used, or will a simple sensor and a sprinkle of feedback allow something cheaper and easier to do the trick? What does the end user ask for, really want, actually need—or eventually buy? Specialists can handle the fine detail, the composition of the molded plastic, the choice of components for the electronic interface, machining drawings, embedded computer, or software development platform. At the top of the pyramid, however, there must be a mechatronic designer capable of making the design tradeoffs that will transform a client's demands or a bright idea into a successful commercial product.